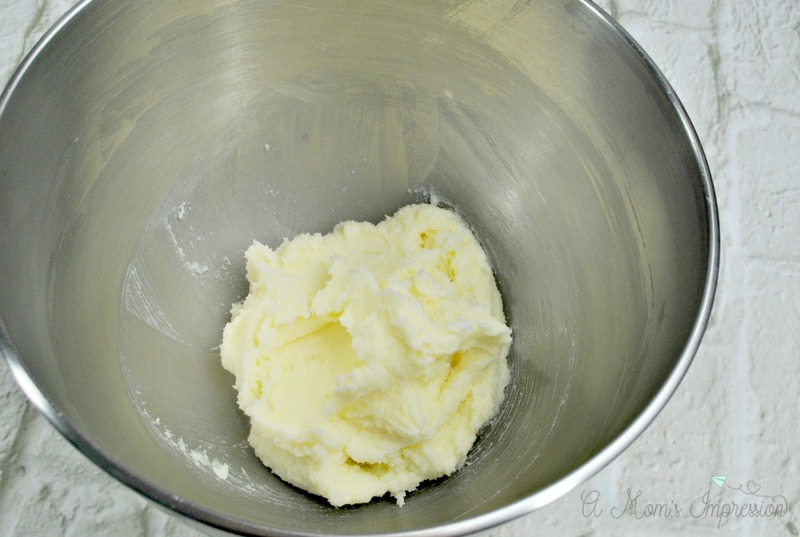 Edible sugar cookie dough recipe is made without eggs or brown sugar for a fun and safe treat. 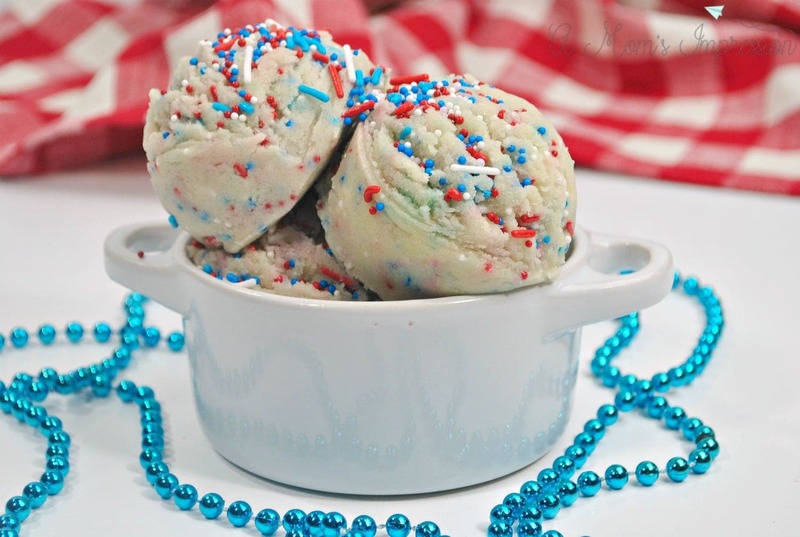 Loaded with sprinkles this is a perfect edible cookie dough for two! Edible raw cookie dough is all the rage right now, and why not? We all love to eat it before it becomes a cookie. The problem is that it really isn’t safe to consume raw eggs so homemade edible cookie dough is the next best thing! 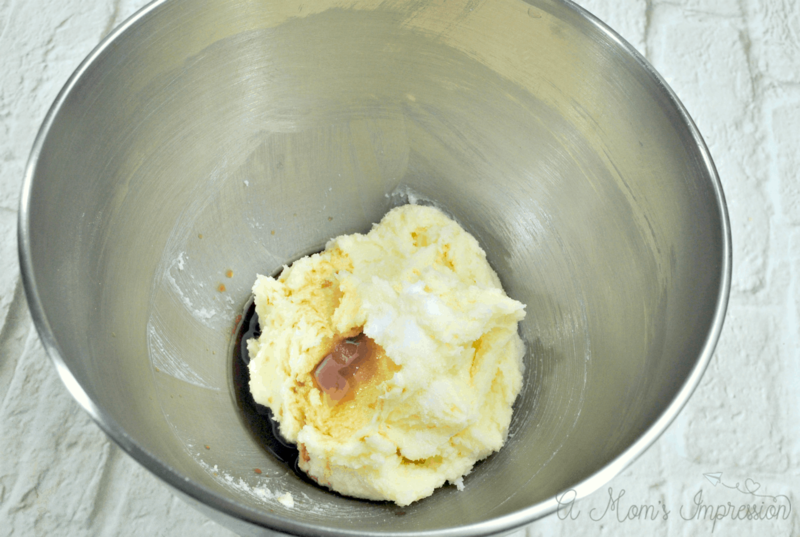 Our edible cookie dough recipe is made without brown sugar for a nice consistency. It feels and tastes like actual sugar cookie dough. It is also so easy to make it can be done in just minutes. 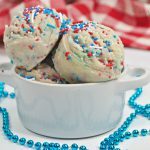 This version includes red, white and blue sprinkles for a patriotic touch, but you can switch up the colored sprinkles to just about anything to fit your occasion. 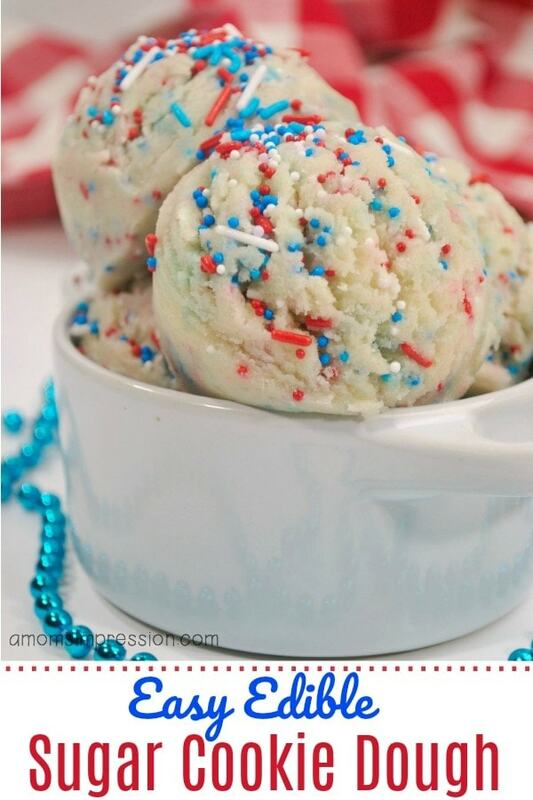 Be sure to check out these red white and blue cupcakes for some more patriotic fun! 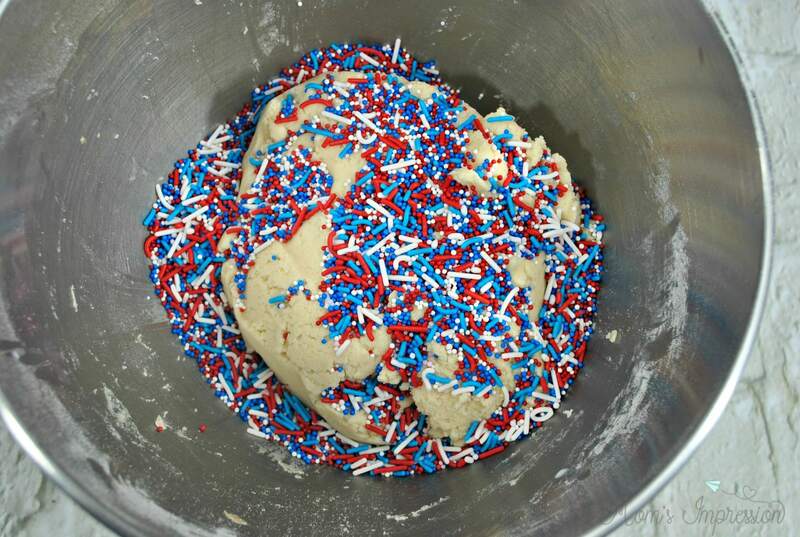 This edible sugar cookie dough recipe is the perfect amount for two people! 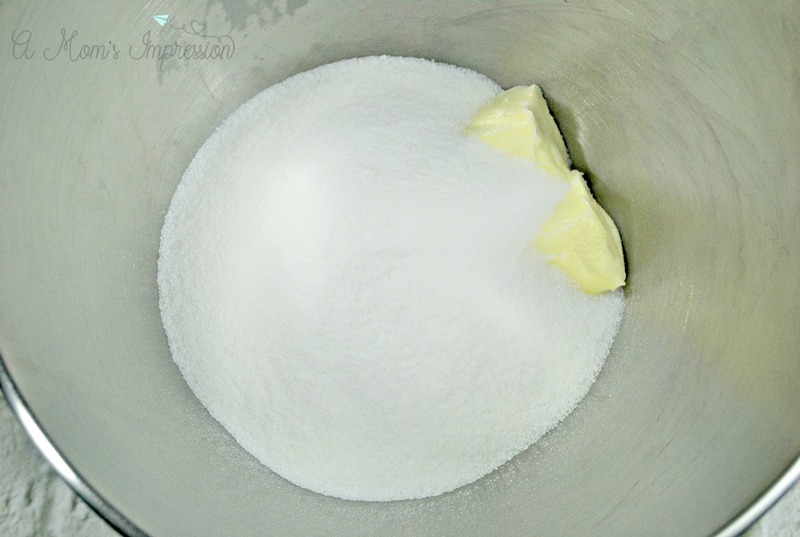 An easy edible sugar cookie dough recipe made without brown sugar. A perfect edible cookie dough for two!